Photographer Mike Pecci releases new stunning images! Mike Pecci lends his cinematography skills to director Rudy Hypolite's new film This Ain't Normal. Director Mike Pecci brings his cinematic style to a new piece for Leica GeoSystems. 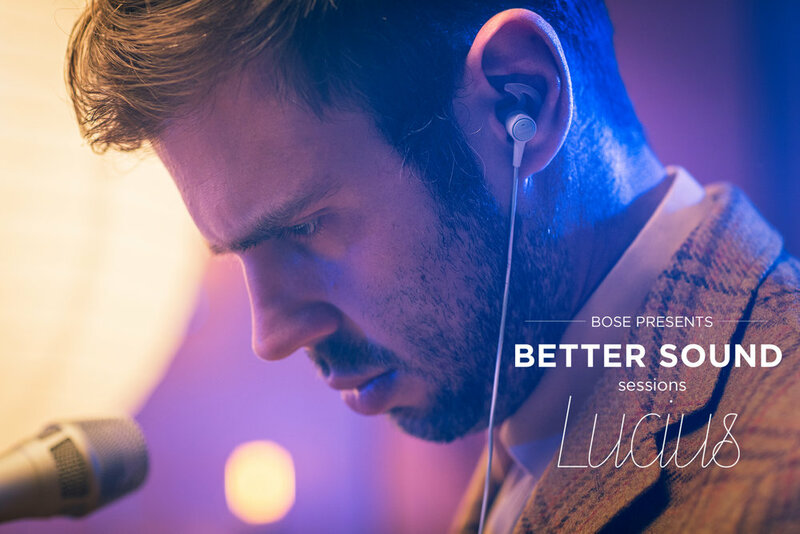 Congrats to the McFarland & Pecci production team and director Mike Pecci for scoring a Hatch award for their work on the gorgeous BOSE Better Sound Sessions series. You can watch them online or at Bose desplays in Best Buy! From the start, 12 Kilometers is a feat; it's one of those short films --- clocking in at just under 28 minutes --- that feels like a big budget feature film. This short feels even more so because it's sci-fi horror. Writer/director Mike Pecci is a talented guy; you'd probably never be able to tell that this 1980s period piece set in Kola, Russia was shot in Massachusetts in 2015. The film was influenced by the "Well to Hell" urban legend of a Russian team lowering a microphone into the Kola Superdeep Borehole --- and ultimately recording the voices of those trapped in Hell. We’ve seen some downright bizarre monsters in horror films over the years, but a hulking mass of black fluid? That’s a new one on me. 12 Kilometers started as a proof of concept short, which director Mike Pecci is now expanding into a feature. As he tells us in the following interview, the idea for a diabolical pile of black gloop actually came from a very personal experience. With only 3 days left on kickstarter, Mike Pecci has released a brand new teaser trailer for his upcoming horror film 12 Kilometers. There are fan films, and there are fan films -- filmmakers Ian McFarland & Mike Pecci aim to release the latter with "The Dead Can’t Be Distracted," a movie inspired by and based on Greg Rucka and Marco Checchetto's acclaimed run on Marvel's "Punisher" comic. With a professional background in directing and producing music videos, mini-docs and horror and Grindhouse films, McFarland and Pecci certainly bring some pedigree with them, and in this exclusive first look at the teaser for the film, fans can get a taste of what to expect from the full movie, which the filmmakers plan to release this summer. Massachusetts metal maestros Killswitch Engage will release their new LP, Disarm the Descent, on April 2nd through Roadrunner Records. Now you can take an exclusive first look at the band's new video for its first single, "In Due Time," which mixes footage of the band performing the take-no-prisoners thrasher with relaxed, behind-the-scenes shots of the making of the video itself. "I [originally had] the idea of doing a sort of a tongue-in-cheek video, as I am a huge fan of some of the early Foo Fighters videos," vocalist Jesse Leach tells Rolling Stone. "However, when I read the treatment that [directors] Ian and Mike sent over, it was perfect. To me, this video shows the band as we are, a balanced push and pull of intense and sincere verses fun-loving, down-to-earth guys. We had our actual crew and friends in the shoot to create a natural vibe. So what you see is what we are: a band and a family that doesn't take ourselves too seriously." An Interview With Mike Pecci - Director Of The Punisher Fan Film The Dead Can't Be Distracted. Will and John are joined this week by director / photographer, Mike Pecci who discusses his recent fan film based on The Punisher and how the film came to be shut down by Marvel for copyright infringement. In May, CBR debuted a teaser for the impressive Punisher fan-made film "The Dead Can't Be Distracted," based on Greg Rucka and Marco Checchetto's acclaimed run on Marvel Comics' "Punisher." Filmmaker Mike Pecci has updated fans about the status of the film on his personal website, and the news isn't good for those expecting the film to see the light of day. Marvel has sent Pecci a cease-and-desist letter, demanding that Pecci "immediately stop [the] unauthorized use, advertising, sale and/or distribution of any production of The Punisher or any other Marvel character-based films." Hates movies, but loves films. Although he can be a tad harsh on certain movies, James enjoys all genres of cinema... as long as it's well put together and brings something new to audiences. The reason why we started Us vs. Film was because we love seeing and talking about new and upcoming filmmakers that make something told from the heart and shows audiences something original. Unfortunately the Hollywood industry distributes a lot of the same things over and over again that we’ve seen before when they should be giving talented upcoming filmmakers a chance to show their vision. 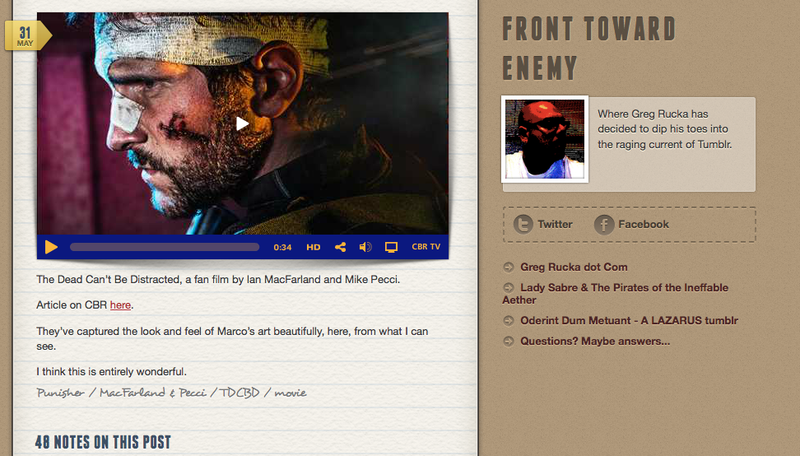 has made a short fan film that he wanted fans of the Punisher to see in a whole new light that hasn’t been seen before. Fan films based on comic characters like Batman, Wonder Woman, and even The Punisher have been posted online in previous years without any complaints from studios or comic creators. Mike’s vision of the character, however, cannot be shown to us.